In AT&T Collaborate, a workspace provides a place to store all your notes, tasks, files, and messages for a project or team you work with. There are 3 types of workspaces: personal, 1:1, and team workspaces, each providing a different level of access. Notes, tasks, and files in your personal workspace are private and only you can access them. To share content in your personal workspace with other users, copy it to a 1:1 or team workspace. 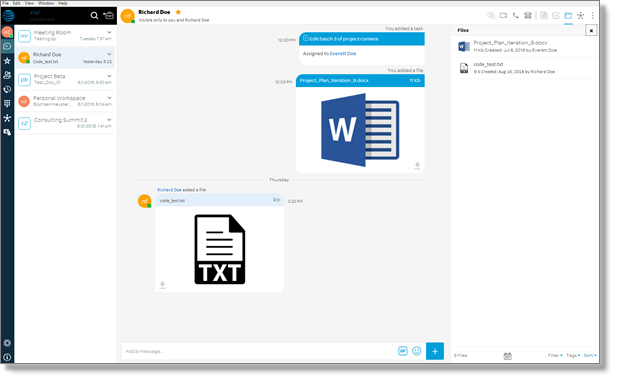 Use a 1:1 workspace when you want to work and chat privately with 1 other user in your organization. The content and messages you share here are visible to only you and the other user in the workspace. Team workspaces are shared by all users who have accepted invitations to join the workspace. There is no limit to the number of members who can join a team workspace. Members of a team workspace are typically part of the same group, project, or task. 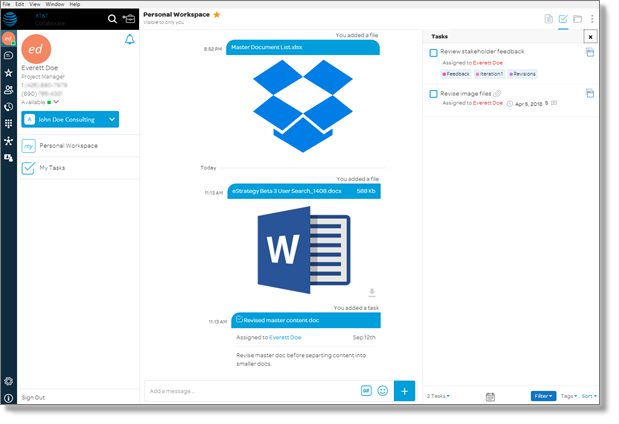 Team workspaces can include guests who are not part of the organization. 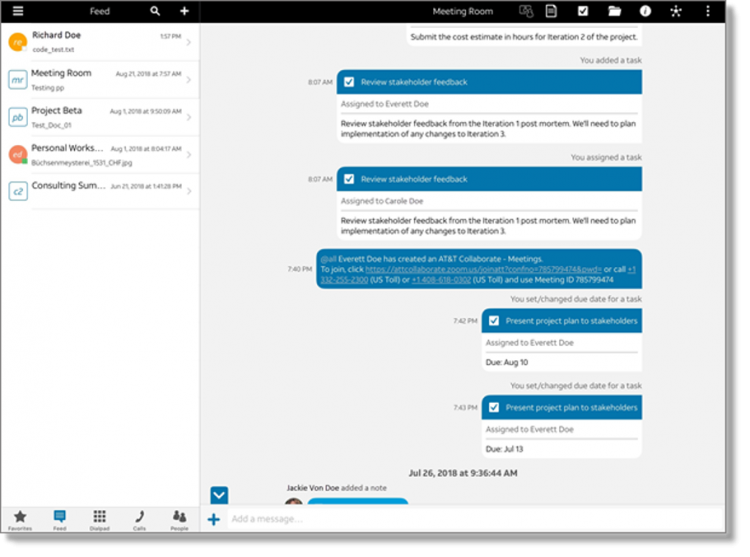 All notes, tasks, files, and messages are visible to every member of the team workspace.